There will be a coaches clinic run by Bridgewater Little League and Al and Al Baseball at Danvers High School on Sunday March 2nd. This is a very good clinic where you can learn a lot of different practice drills. The clinic is free to all of Bridgewater Little League coaches as Bridgewater Little League has already paid the costs. There are two different training sessions offered depending on the age of the players you will be coaching. Session Two: Registration starts at 12:30PM Session starts at 1:00PM. For more info, please visit the event website by clicking here. Chief of Police George Gurley and the Bridgewater Coalition Against Community Violence are pleased to announce an Introduction to Women's Self Defense course. The course, offered to women 15 years old and up, will be an instructional series focused on the best techniques for self defense. To register for the event, please contact Anne Schuster at 508.697.6118 or Lorraine Carrozza at 508.697.0929. The event costs a suggested donation of $35.00 to the Bridgewater Coalition Against Community Violence. Bridgewater State College professor Dr. James Hayes-Bohanan, who posted about the coffee tastings at Rockin' K Cafe on Friday evenings, is perhaps Bridgewater's coffee expert. Though we all might enjoy a good cup of coffee on an hourly basis, Dr. Hayes-Bohanan has focused on the interesting science behind the geography of coffee. 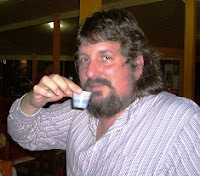 To check out Dr. Hayes-Bohanan's website documenting the geography of coffee, please click here. Friends of the Bridgewater Public Library: 9a.m.-10a.m. This is a name your own price event. The book sales always feature something for everyone. Whether you prefer romance novels or historical non-fiction, you will surely find something for you! The book sale is held at the Bridgewater Public Library at 15 South Street and will take place in the lower level of the library. A five week beginner American Sign Language course will start on March 3, 2008 from 6 to 8 PM at the Conant Community Center. The program is designed for those who have little to no experience with signing, especially those who are in the education or social services fields. Class space is limited, therefore, pre-registration is required. To register, please call Marianne Molinari at 781-447-2470 or email her by clicking here. Please call Uplifting Connections to register in advance. Have you ever wondered how to start eating healthier? Many of us get confused about what the "right way to eat is. Come and learn some tips and ideas to start transitioning yourself to a cleaner and healthier lifestyle. The event is presented by Noelle Armstrong, Holisitic Health Counselor, AADP. Armstrong is a graduate of the Institute of Integrative Nutrition and a Certified Holistic Health and Wellness Counselor. She is the Founder and Owner of Holistic Health and Wellness. The Bridgewater Garden Club is offering two, fifteen hundred dollar scholarships to graduating high school seniors or students enrolled in college who live in Bridgewater or Raynham. Study must be in specified fields. Application forms are available at the Guidance Office at Bridgewater-Raynham High School, Coyle Cassidy, Southeastern Regional, West Bridgewater, Bristol Plymouth and Cardinal Cushing. Deadline to remit forms back is April 1. BTV9 will be airing a special presentation, immediately following Bridgewater This Week on Friday through Monday (normal news times), which will take their viewers on a virtual tour of the Academy Building, Memorial Building, Town Hall, and McEllwain School giving a historic perspective and current conditions of the building. This program was co-produced by BTV and the CPC, who will be holding a forum to discuss the future of these buildings on Monday evening at the Academy Building meeting room. Who doesn't like a good pile driver or body slam from the top rope every now and again? The World Wrestling Alliance is coming to Bridgewater! Wrestling stars including former WWE/ECW Champion Rob Van Dam along with former WWE/ECW Tag Team Champion Spike Dudley will come amped up for a premier wrestling event here in town. The wrestling event will benefit the Bridgewater 4th of July Celebration so not only will you be catching some great entertainment, but also will be helping out a great community event. The event will take place at the Bridgewater Knights of Columbus on Bedford Street on February 29th beginning at 7:30 PM. Tickets are $15.00 at the door or $12.00 in advance. Tickets can be bought in advance at Bridgewater Liquors and Emma's Pub & Pizza. Tickets can also be purchased by contacting Jeff Fowler at 508.631.0544. Interested in learning about some of the different varieties of coffee? Come to the Rockin' K Cafe every Friday night between 4PM and 8PM to sample some of their coffee offerings. Rockin' K Cafe serves coffees from Equal Exchange and their line includes Love Buzz, Ethiopian, Midnight Sun, Breakfast Blend, Dark Roast and more! Admission to the coffee tastings is $3 and along with the sampling of the different coffee roasts, you are also welcome to sample some of the homemade cookies and organic brownies that Rockin' K Cafe is well known for. Rockin' K Cafe is located at 132 Broad Street in Bridgewater. Planning on doing some early spring cleaning? Have some things lying around the house that you were planning on throwing away at the transfer station? Rather than adding to the landfills, consider joining Freecycle Bridgewater. This a free online group to join that allows you to post items that you are looking to get rid of. People post a variety of items and the site allows for free trading of goods that you might no longer need but someone else might be interested in. Also, it is a great way to find things that you might be on the lookout for! Again, this is a complete free site and is a huge benefit to all residents and businesses in Bridgewater. Log in today and check it out for yourself! The Board of Library Trustees will meet this Tuesday, February 19th, at 7PM at the Bridgewater Public Library. This meeting is open to the public and anyone wishing to attend should ring the buzzer at the delivery door toward the back parking lot of the library as the main door will be locked. America's Little Angels Preschool is currently collecting can tabs and Shaw's receipts to benefit Athena's Hope. Athena, a young child from the South Shore, has metachromatic leukodystrophy (MLD). This is an extremely rare, progressive, genetic disease. There is no cure or treatment. The disease has caused loss of all muscle control, she is unable to chew or swallow and can go deaf and blind. Most are left in a vegetative state. Life expectancy is 3 to 6 years old. America's Little Angels Preschool is also collecting new child themed blankets to donate to a hospital that gives them to children who are getting different treatments and services at the hospital. Shaw's receipts, can tabs, blankets can be picked up from you by emailing America's Little Angels Preschool by by clicking here. Russo's, located on Bedford Street in Bridgewater, was voted Best Liquor Store in Bridgewater. Stop in today to visit Dean and Greg and tell them you saw their victory on Around the Common! Congratulations to all the other vote getters, as well. The Rita Dziergowski Memorial Scholarship Committee is pleased to announce that applications for the 2008 scholarship are now available. The Rita Dziergowski Memorial Scholarship this year will be for $1,000.00 and will be awarded to a Bridgewater student graduating from high school and looking to further their education. The scholarship application consists of a short essay and some background questions. Completed applications will be due back by April 11, 2008 so do not delay your opportunity to receive this significant $1,000.00 scholarship. The Bridgewater Knights of Columbus Council 488 will hold its monthly meat raffle this Saturday from 1PM to 3PM. There will be five meat raffles and two 50/50 raffles. The event will be held at the Knights of Columbus Hall at 582 Bedford Street in Bridgewater. The Bridgewater Senior Little League will hold its registration at the Recreation Building on Cottage Street this Friday from 6PM to 9PM and this Saturday from 9AM to 2PM. The age requirements for the league are 13-15 year olds and registration can be completed with two checks, one payable to Bridgewater Little League for $100 and the other to the Bridgewater Recreation Department for $25. This upcoming election is about our future. It is about achieving meaningful change, not serving personal agendas, or maintaining the status quo. I am the first candidate in this race who has offered a substantive plan on how to adequately address the full-blown fiscal crisis in our town. I will provide CLEAR positions to the many challenges that face Bridgewater rather than offer vague stances for political expediency. What people will hear throughout this campaign are my core beliefs on what needs to be done to turn Bridgewater around. * Stay away from “politics as usual”. *Support a more responsive pro-business approach to the permitting process that welcomes, not discourages commercial development. VOTE FOR MEANINGFUL CHANGE ON APRIL 26! I look forward to talking and listening to you throughout this campaign. Should you have any questions or require further clarification, please feel free to contact me directly at 508-279-1971. Where is Bridgewater on the ladder? Currently, Bridgewater is a town divided. In 2007, Bridgewater cut 28 town employees from the payroll. Although we have created a wonderful infrastructure for our schools, they remain on probation and have never restored 30 of the positions they lost three years ago. Our library is on the brink of being de-certified. We have turned off many of our street lights; de-funded our recreation program and our senior center has been forced to run on private contributions and fundraisers. In the last year, two override propositions failed by a narrow margin; a vote to re-certify the regional school budget passed by an equally narrow margin. Citizens have lost services, property values are jeopardized, town employees and teachers often feel de-valued and we are unable to agree about a course of action to change direction. The Hunt for Unity platform proposes a way to restore Bridgewater. Climbing the ladder represents positive forward motion. This, however, cannot happen until confidence and trust in government are created. Trust requires two-way, responsible, respectful interactions between government and its citizens. Philosophy: Every Board of Selectman action should be guided by an attitude of respect, responsibility and responsiveness. Bridgewater has a “town meeting” form of government. Thus, citizens vote openly to direct the Board of Selectmen (BOS) on a majority of Town issues. The BOS should listen and respond respectfully to the citizens of Bridgewater. Although particular citizens may support a candidate for his or her election, once elected, that Selectman represents all citizens. •Maintain regular office hours, remain listed in the phone book, answer email and phone calls and advocate for a public forum at BOS meetings. •Recommend the establishment of open public meetings in advance of town meetings so citizens may ask questions of their elected officials in an informal setting. •Communicate respectfully and consistently with both elected officials and general citizens. •Be a responsible leader and encourage other members of the BOS to be responsible not only to the citizens but to the various state and local statutes/regulations under which the Town operates. •Be respectful to the various appointed and elected boards and committees in Bridgewater and communicate with them in a consistently professional and responsible manner. •Respect the findings presented in reports from town departments, boards and standing or appointed committees. While she might disagree or have ideas other than those presented in a particular report’s findings, she will always listen respectfully, respond appropriately and be responsive to those entities. •Always make her views known as early as possible so the citizens of Bridgewater may express their support or opposition. She will listen respectfully and attentively giving due weight and consideration to arguments that contradict her opinions. •Marilee will always explain her positions and the reasons she reaches her conclusions. Philosophy: Trust is built through consistent actions. Marilee is absolutely committed to consistency. She will bring that commitment to Bridgewater government. Her word is her bond. •Use management methods which will provide solid leadership in fiscal, personnel and general practice arenas. Philosophy: When respect, responsibility and responsiveness have been proven consistent in Bridgewater, trust will be established. Citizens of Bridgewater cannot be expected to trust government that is not transparent and responsive--- which means no hidden agendas, no “found money,” no misleading presentations explaining what the results of a particular vote will be, then changing the impact after votes are cast. Trust is difficult to build and easy to lose. •Hold herself to the “higher standard” expected of a public servant. Philosophy: With trust restored, Bridgewater can take action to move forward. •Advocate for a clear reporting schedule by all departments and boards overseen by the BOS. •Fiscal responsibility. Bridgewater will benefit from Marilee’s experience as a state and federal grant-manager. She has both personnel and fiscal management experience that will allow her to take a thoughtful, disciplined approach to budgeting. She has assisted numerous non-profit agencies across the Commonwealth as they replaced unproductive “crisis management” with best-practice management. •Changes in town by-laws to promote better fiscal management. Marilee supports the intent of the proposed draft by-laws that are available on her web site and on the Citizens for a Better Bridgewater web site. Such by-laws will bring fiscal responsibility by creating a stabilization account, free cash policy and general reserve policy. •Research and understand the Tax Incentive Financing (TIF) and District Improvement Financing (DIF) in hopes that they may provide some helpful answers to Bridgewater’s fiscal problems. •Implementation of the Master Plan. The Master Plan Implementation Committee has worked to encourage implementation of the Master Plan. However, there is little “ownership” of the Plan by various departments, committees and boards. As one member of the BOS, Marilee will encourage their advocacy in encouraging all town agencies to take seriously their roles in the implementation of the Master Plan. •Completion and implementation of the Four Building Study. Funded through the Community Preservation Committee and undertaken by Newport Collaborative Architects, the Four Building Study, due in April 2008, will outline a 10 year road map for the use, preservation and restoration of the Academy, McElwain and Memorial Buildings and the Town Hall. As chair of the Community Preservation Committee, Marilee has proactively promoted this comprehensive and responsible approach to the use and preservation of municipal buildings. Implementation needs to be coordinated with both the Master Plan and any recommendations being implemented from the Government Study Committee. •The Government Study Committee. The request for a Government Study Committee was presented to the town by a citizen’s petition at the 2007 Fall Town Meeting. The Town Meeting voted in favor of forming the Committee and the citizens of Bridgewater now await its report/recommendations on the best type and structure for our government. Marilee pledges to listen respectfully to the report/recommendations brought forward by the Committee. Her acceptance/rejection of the Committee’s report/recommendations will be based on thoughtful consideration of what is in the overall best interest of Bridgewater. Implementation must be coordinated with the Four Building Study recommendations. •Investigation into best practices for streamlined permitting for development in hopes that it may hold some answers to help us attract businesses to Bridgewater. •School De-regionalization Study Committee Marilee pledges to listen respectfully to the report/recommendations brought forward by the School De-regionalization Study Committee. Her acceptance/rejection of the Committee’s report/recommendations will be based on thoughtful consideration of what is in the overall best interest of Bridgewater. •Establish a budget planning calendar to assure scheduled, timely, annual review and construction of the town budget. o Schedule mid-fiscal year meetings with all department heads to ascertain budget status. Philosophy: Bridgewater will be stable when fiscal responsibility and government efficiency result in a balanced budget that provides for the needs of all citizens. Continued stability requires ongoing responsiveness to the citizens, and continued reevaluation of plans. Stability will maintain a ….. Midgets: Girls entering Grades 7 & 8 in fall, 2008. Peewees: Girls entering Grades 5 & 6 in fall, 2008. Any current 8th grade girl that is interested in coaching a team for the 2008 year should contact the Bridgewater Badgers Cheerleaders Board by clicking here. Bridgewater State College will be hosting a film series in celebration of Black History Month for the month of February. The film series is sponsored by the Women's and Gender Studies Program, the Anthropology Department, The Ethnic Studies Program and the Latin American and Caribbean Studies Program. The series is free and open to the public. For more information, please call 508.531.1799. Ida B. Wells: A Passion for Justice - Though virtually forgotten today, Ida B. Wells-Barnett was a household name in Black America during much of her lifetime (1863-1931) and was considered the equal of her well-known African American contemporaries such as Booker T. Washington and W.E.B. Du Bois. Ida B. Wells: A Passion for Justice documents the dramatic life and turbulent times of the pioneering African American journalist, activist, suffragist and anti-lynching crusader of the post-Reconstruction period. Nobel Prize-winning author Toni Morrison reads selections from Wells' memoirs and other writings in this winner of more than 20 film festival awards. After a full week of online voting and with a tremendous turnout logging in, here are the results for the Selectman's race poll. A salute to Handi Kids Valentine's Dinner Dance. This event is sponsored by the Bridgewater Kiwanis Club. Tickets are $25 per person and can be purchased by calling Hank Boudreau at 508.697.5923 or Rich Gosselin at 508.580.8900. Along with the National Marrow Donor Program, Bridgewater State College will sponsor a marrow registration drive. Individuals must be between the ages of 18 and 60 and in good health. To register, only a cheek swab is needed. There is no cost to those that register. The registration drive is dedicated to Alyssa Correira, a 10 year old from Rehoboth, who was diagnosed with leukemia this fall and is in need of a life saving bone marrow transplant. For more information about the drive, call 800.283.8385 x. 720. The visioning session sponsored by the Bridgewater Community Preservation Committee on February 25th at 6:30 PM will be held at the Academy Building and not the Senior Center as previously reported. Interested in how Bridgewater residents voted in the Super Tuesday primary? Hillary Clinton and Mitt Romney win Bridgewater! Bridgewater Sports Photographs Now Offering Senior Photos! Bridgewater Sports is combining with Captured Moments to offer you the best Senior Portrait sitting available! 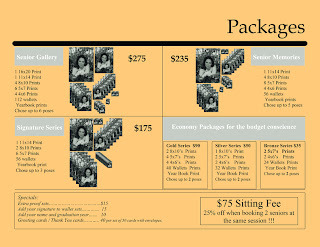 They are currently booking on-location senior portrait sessions at a variety of great locations. Unlike most of the studios shooting senior portraits, Bridgewater Sports actually spends more than fifteen minutes with you taking what will be one of the most important photos of the year. Each portrait session is booked for you, or you and a friend. During the sitting they will give you all the time needed for you to become comfortable with our photographer and to make a truly spectacular photograph. There are never any time limits on how long Bridgewater Sports will take to make your portrait the best that it can be. After the sitting you can view you photos on-line or have actual proofs delivered right to your home. Compare their packages. Then call 508-941-5891 to schedule your sitting with Bridgewater Sports! 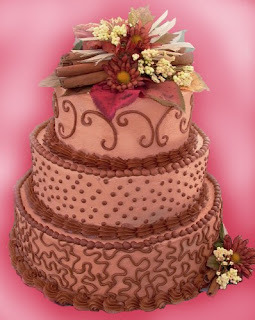 Looking for the perfect cake? In the past few years, television shows have been popping up all over many different channels highlighting the artwork and precision that goes into custom cake making. The ability for a baker to not only create a fabulous tasting cake but also an artistic masterpiece is an amazing quality to have and Bridgewater is lucky to be home to Cake by Paula Surrette. Paula Surrette started her custom cake business a few years ago and has seen her business grow by leaps and bounds into one of the most successful custom cake businesses in the region. With a knack for perfecting her customers' specific and individual custom cake requests, Paula ensures her clients not only a cake that is fun to look at but equally as fun to taste. Cake by Paula Surrette has completed hundreds of cakes ranging from weddings to birthdays and from baby showers to bridal showers. 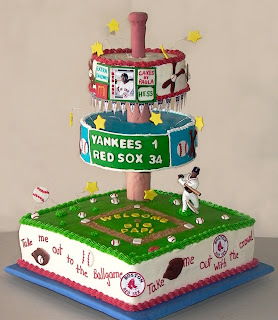 Check out Cake by Paula Surrette's website the next time you are in need of a custom cake. Not only will you be supporting a Bridgewater business, but will also be talking about your cake for a long time after the last piece is gone! WATCH THE 2008 RED SOX IN STYLE! It seems like everyone is hankering for a Sony 40" LCD TV. Do yourself a favor by donating to the 4th of July community celebration with the possibility of a little something extra for yourself! Raffle tickets are $5.00 each and tickets and are going fast! At $5.00 a chance for a prize valued at over $1,500.00 you will want to get yours as soon as you can! Do not miss out on this opportunity, as the Bridgewater 4th of July Committee has a limited number available. Tickets are being sold at: BTV Cable - Spring Street, Bridgewater, MA and by 4th of July Committee Members around town! Again, there is a limited supply of tickets available for this raffle! Get your raffle ticket today -- get the 4th of July Committee closer to their fundraising goals -- and get a chance to win this great TV for your home! Call Jeff Fowler at 508.697.1833 for more information or email him at jfowler@bridgewater4th.com. The Bridgewater Water Department would like to inform its water users that the Water Department is currently rehabilitating it’s 4-million gallon Water Tower, off Broad Street. The tower is 32 years old and is now in need of sandblasting and painting, both inside and out. There is much labor involved in this process and the projected completion time of this project is the last week of May 2008. The water Tower had to be drained and taken off line. As a result, the work had to be scheduled through the winter months and early Spring, so the tower could be filled and put back into operation for the water peak demands of the summer months. In taking this 4-million gallon tower off line, the Town’s wells are now pumping our water supply to the 1-million gallon water tower up on Burrill Avenue. With the water supply now flowing in a different direction, up to the Burrill Avenue Water Tower, instead of the Broad Street Water Tower, there has been periodic discoloration associated with the flow reversal. This is common in other cities and towns when Water Towers are taken off line for scheduled maintenance. The Bridgewater Water Department would like to apologize for any inconvenience this may cause during the maintenance of the Water Tower. However, this work has to be performed to keep the structure of this Water Tower operational. If you have any questions or concerns regarding this matter please feel free to call the Bridgewater Water Department Office at (508) 697-0910. The delivery of meals to seniors takes from 9:30 a.m. to 11:30 a.m. Drivers can work alone or as a team of driver and runner. The drivers pick up meals at the Bridgewater Senior Center, 10 Wally Krueger Way, between 9:30 and 10:30 a.m. and deliver them to a specific list of recipients in Bridgewater. There is a small stipend for mileage. Drivers can drive on a daily basis, or an on-call, emergency basis. Please call 508-697-0929 and ask to speak to Director of Elder Affairs Lorraine Carrozza or email LCarrozza@Bridgewaterma.org as soon as possible if you want to deliver meals to the town's seniors. This event is open to the public. Adult price is $8.50 with children's meals being sold for $5. Reservations are accepted by calling 508.697.6241. After coming off a large victory as best place in Bridgewater to get a coffee, Uplifting Connections has won this week's poll of best place in Bridgewater to get a massage. Congratulations to all the other businesses, as well.